At first glance, a humpback whale and a wind turbine don't have a lot in common. For that matter, neither do a shellfish and a sheet of plywood. But both sea creatures are the inspiration behind products designed using biomimicry, or looking to nature's designs and processes to solve human problems. For those who know where to look, biomimetically inspired products can be found in almost every corner of the marketplace, from medicine to transportation. But where the emerging field has the potential for the greatest impacts, according to advocates and practitioners, is in changing the way we think about our built environment-not only in designing individual building products, but in conceiving of entire communities as biomimetic systems, not to mention businesses, government bodies and other "systems." The launch of the Biomimicry Venture Group in 2008 by Paul Hawken and Janine Benyus, a naturalist and writer whose 1997 book, "Biomimicry: Innovation Inspired by Nature," defined the concept, could help seed the concept even deeper into the marketplace. And the recent launch of AskNature.org, a biomimicry encyclopedia for designers backed by industry giant Autodesk (Nasdaq: ADSK), shows the evolution of the biomimicry movement within the design industry. A world of inspiration"If we get the built world right, we can get a lot right," Benyus says. While drawing upon nature as a model and inspiration for design is a centuries-old practice, biomimicry has been driven largely by Benyus, who co-founded the Helena, Mont.-based Biomimicry Guild, a consultancy whose clients include corporate giants such as General Electric (NYSE: GE), Proctor and Gamble (NYSE: PG) and General Mills (NYSE: GIS). The guild's nonprofit counterpart, the Biomimicry Institute, promotes biomimicry and offers education and training for both students and professionals. "Biomimicry has taken off dramatically in the last year or two, but I don't think we've reached the tipping point," says Lynelle Cameron, director of sustainability for Autodesk, the San Rafael, Calif.-based maker of design software. AskNature.org, launched in late 2008 by both Autodesk and the Biomimicry Institute, is part social network, part library. The site matches nature's solutions to design problems, and lists ways such concepts could be applied to the human-built environment. It also provides a forum for people to contribute ideas and share information. Not to mention, it's visually stunning. Partnering with the institute to sponsor the site was a natural fit for Autodesk-whose products are used by more than 9 million professionals in almost 200 countries-because it already aims to make complex information simpler and more accessible to all designers, Cameron says. Since its launch, the site has exceeded expectations, Cameron says, but it is still in its beginning stages. "With sustainability, if we're doing our job, well we're predicting what [customers] will want in the future," she says. With the enthusiastic response the site has received so far, it must be adaptable in order to stay ahead of the curve. The collaborative nature of the site is key to the concept of biomimicry, as well, she says. Biomimicry is less about getting like-minded people together and more about getting people from disparate backgrounds together to find connections and solutions to problems in unlikely places. "'Opportunity spotting' is what it's all about," says John Breshears, an associate at Portland-based architecture firm Zimmer Gunsul Frasca Architects, who has employed biomimetic concepts in some of his designs. Among some of the questions he believes biomimicry may hold clues to are building ventilation, lighting and insulation. One of the most spectacular examples, the Swiss Re Building in London models the structure of a sea sponge: Gaps in each floor create shafts that naturally ventilate the entire building. Designed by Lord Norman Foster with Arup engineers, the building was designed to use half the energy of a typical building. Yet getting financing for such projects-especially in today's economy-could be challenging. With the launch of the Biomimicry Venture Group, the first and only investment firm of its kind, Benyus and Hawken are aiming to help emerging biomimicry products mature to the point where they can stand on their own. Nature at work in designA host of biomimetically designed products are commercially available, with more in the development pipeline. They may not always be visible, though, as some of the most successful biomimicry products are totally incognito. "You would never know they're there," Benyus says. North Carolina-based Columbia Forest Products' PureBond soy-based adhesive is one oft-cited example. When the company was working to develop a way to make a water-resistent adhesive for its plywood products without using urea formaldehyde, it looked to technology inspired by the humble mussel. A professor from Oregon State University, wondering how mussels could hang on to rocks in the face of pounding surf, learned that the shellfish secrete proteins allowing them to get a grip. Soy proteins could act in much the same way, he found. The discovery led to the development of PureBond, which is now used in all panel products the company makes. Slightly more visible in its end result is a technology inspired by the way humpback whales maneuver their immense bulk through the water, changing direction with speed and agility. The answer lies in the bumps on the edge of the great mammals' flippers. Called tubercles, they allow whales to move quickly enough to catch their supper, and could also be applied to increase the efficiency of things moving through the air, reasoned biologist Frank Fish. 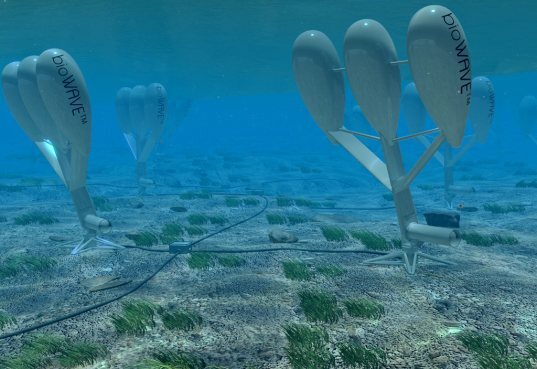 Based on that idea, Fish went on to co-found WhalePower Corp., a Toronto-based company that has developed tubercle technology that it says can be used to boost reliability and efficiency in a "staggering amount of machines," including wind turbines, fans, compressors and HVAC systems. The first product to use WhalePower's technology recently became commercially available: a high-volume, low-speed fan from Canadian fan manufacturer Envira-North Systems that the company reports is 20 percent more energy efficient than conventional fans. While Benyus speaks enthusiastically about the success and increased popularity of biomimetically inspired products, she encourages designers and companies to take biomimicry a step further: Use nature not just to solve design problems at the product level, but take a systems-level approach and use biomimicry in production practices as well. "We can't solve challenges by throwing a set of interesting technologies at them. ... I think that process is going to be as, if not more, important," Benyus says. "Problems in sustainability are all connected, we cannot solve one without solving them all-we've got a system of problems and it will take a system of solutions." One way this could happen is through using biomimicry to design entire communities. "Making a bio-inspired product is one thing; making a bio-inspired city begins to change the world," Benyus said in a statement. Several such large-scale projects are currently in the design stage via a partnership between the Biomimicry Institute and HOK, one of the world's largest architectural design firms. "Biomimicry is a way to really push the envelope and bring us to a different place," says Mary Ann Lazarus, HOK's director of sustainable design. It's a way to "break free of sustainable business as usual, and take it to the next generation of thinking." With a strong history of green building innovation-the firm contributed to the development of the U.S. Green Building Council's Leadership in Energy and Environmental Design (LEED) rating system-and massive reach, HOK's inclusion of biomimicry has the potential to propel the concept worldwide. The firm is currently working on about 12 biomimicry-inspired projects, including several community master plans. One such project is the Lavasa Township, a 12,000-acre development near Pune, India, for which HOK designed the master plan. With an extreme drought-flood cycle, water management and topsoil maintenance present a challenge. To answer such questions, biomimicry looks to the "genius of place," or how the existing ecosystem has evolved to thrive in such extremes. As part of its engagement with biomimicry, HOK is also looking for ways to define and measure the outcomes of its efforts. Both Lazarus and Benyus say using nature as a measure of performance-biomimicry as metrics-is likely to be the next arena for the field. Nature can set the bar for performance, with the ultimate goal being that the built environment functions as well as the natural environment, Benyus says. By looking to nature to answer questions such as, "What percentages of energy and water get naturally reused," builders and designers can replicate natural systems to design more efficient communities. Whether nature is used as a model or measure or both, observers agree that biomimicry is evolving, becoming both a discipline in its own right and converging with other sustainable building solutions. Just as LEED took a while to hit its stride, Lazarus predicts that biomimicry will soon get recognized for its industry-wide impacts. Getting training in the principles of biomimicry is essential to push the concept forward. "Sometimes that natural fit isn't automatically obvious. You have to understand the essence of how it works and apply it to the problem at hand," says Breshears of ZGF Architects. The Biomimicry Institute offers curriculum for K-12 and university students. And in 2010, the institute is graduating its first cohort of 16 practitioners in its Certificate in Biomimicry program, a two-year course of study to train professionals from a range of fields in biomimicry. Intended to be comparable to a Masters degree, the certificate program targets students with backgrounds in biology, business, building and engineering. Upon completion of the program, graduates should be equipped to start their own consultancies and bring biomimicry to existing companies and organizations. The hope is that professionals armed with training in biomimicry will be able to meet what observers say is an increasing demand for expertise in bringing biomimetic principles to the design table. Students learn to apply biomimicry in key areas, including design, engineering and business. For example, applying biomimicry to a company could help determine how a business plan is structured and how it may evolve under changing conditions, says Erin Leitch, a current student in the certificate program. Leitch, a LEED-Accredited Professional who is also a sustainability advisor at Portland-based consulting firm Brightworks says she is currently using her training to be a "conduit for biomimicry," educating architects and designers about what biomimicry means from a deep sustainability perspective. But her training in biomimicry will become increasingly valuable as a range of sectors turn to its principles to help solve problems, she says. "I feel like it's keeping me at the leading edge of what it means to pursue not only sustainability, but a regenerative society."